I have created and run various writing websites over the past few years. Paragraph Planet - Publishes one 75-word story, or novel extract, every day. Each day the story is given the spotlight on the home page. There is also an archive of all stories published since 2008, and an author page listing all contributors. There are also interviews with published authors who have often submitted extracts of their work. 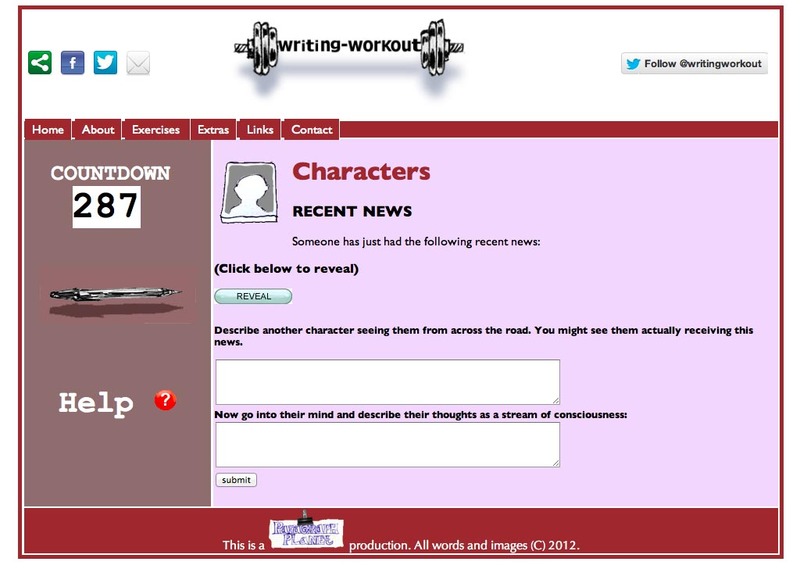 Writing-Workout - This website features exercises designed to kickstart your writing, which are then sent back to you to work on at leisure. 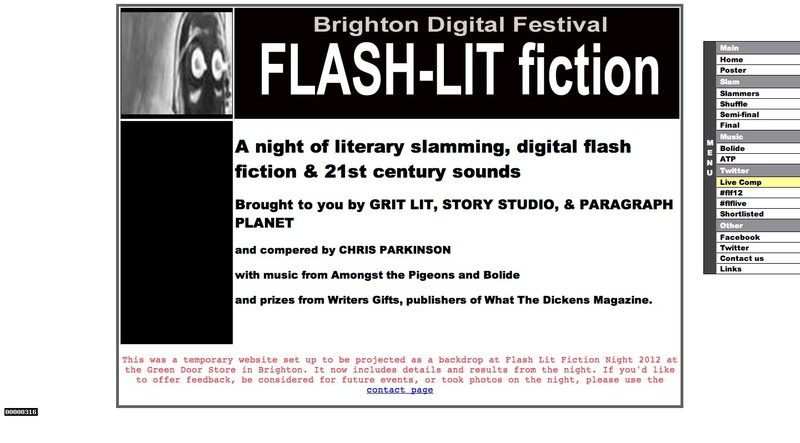 Flash Lit Fiction was a short story slam in a collaboration with Grit Lit and Story Studio and featured in Brighton Digital Festival 2012-2014.